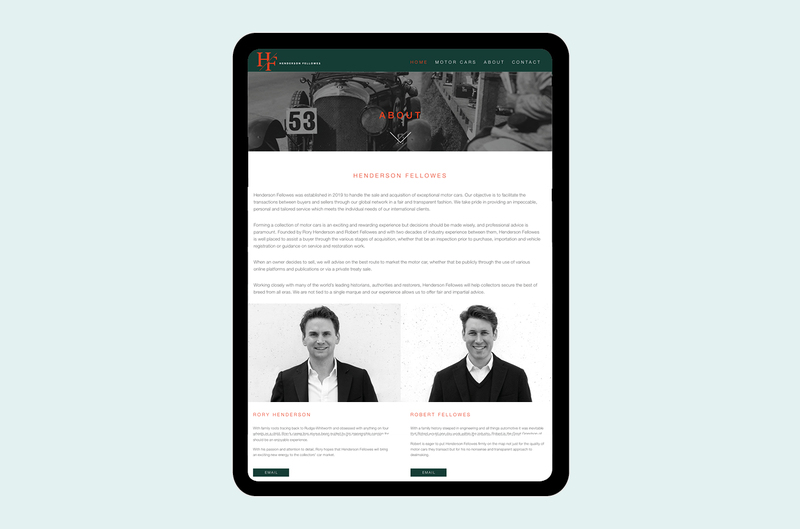 We have just created a new brand identity and website for Henderson Fellowes. 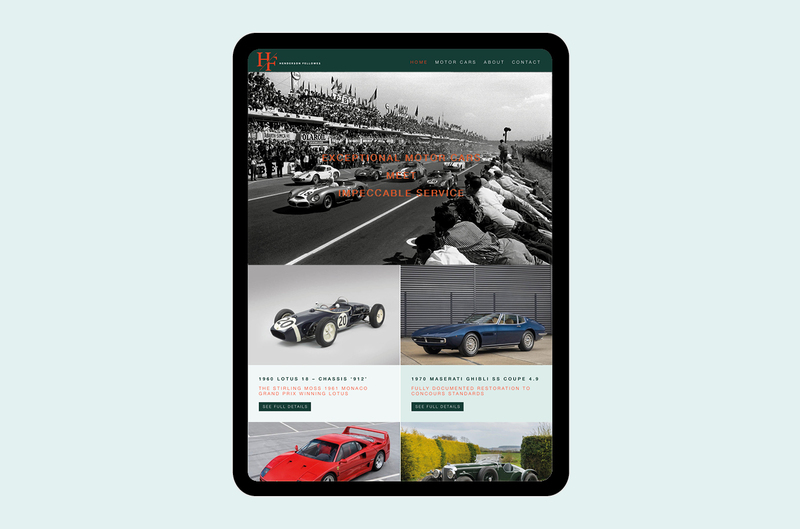 Established in 2019 to handle the sale and acquisition of exceptional motor cars, Henderson Fellowes’s objective is to facilitate the transactions between buyers and sellers through their global network. 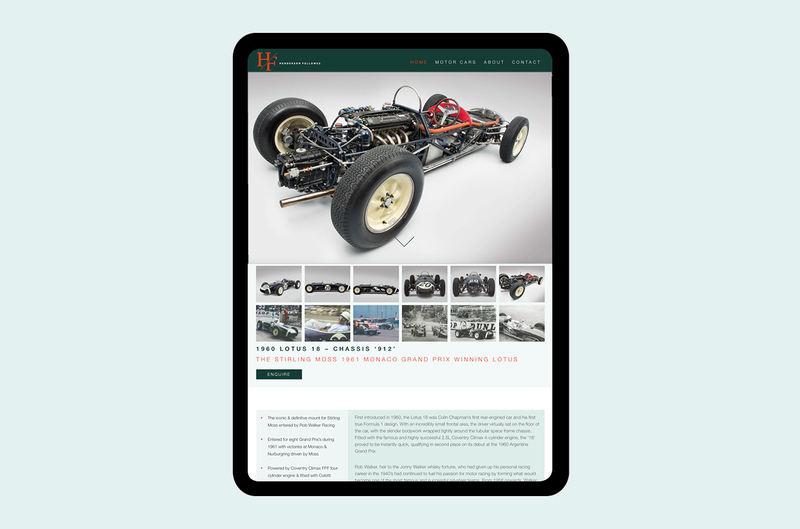 Graphical created a brand identity focused on communicating the founders’ irrepressible passion for motor cars, extensive knowledge of the collectors’ car market and the impeccable service offered to their global network of buyers and sellers.